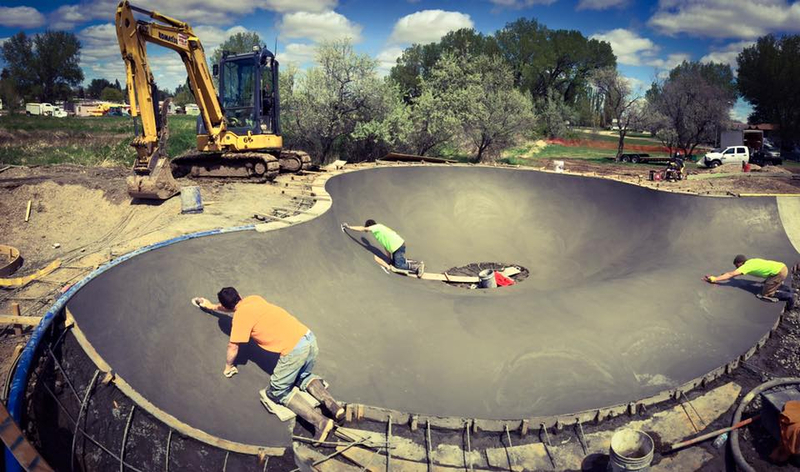 Earlier this summer we completed two skateparks in north / central Montana off Highway 2- also known as the 'Hi-Line'. One was in the town of Malta and the other was in Hays on the Fort Belknap reservation. Both of these projects were completed from funds from the Pearl Jam Vitalogy fund and Montana Pool Service & Jeff Ament helped design them both. Most recently we completed the Cashmere, Washington skatepark located in central Washington between Wenatchee & Leavenworth. The skatepark is now open to the public. Fully completed photos to come! Currently we are working on a small addition to the Havre, Montana skatepark and then we will be heading back to Oregon. On our agenda for late summer / fall we will be building two 'skate spots' in Northeast Portland as well as a 10,000 square foot Thunder Park inspired skatepark in Bend, Oregon.